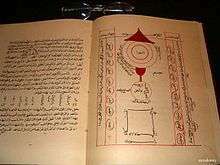 The book Jawahir-i khams, (The Five Jewels). The Shattariyya are members of a Sufi mystical order (tariqah) that originated in Persia in the fifteenth century C.E. and formally developed, completed and codified in India. Later secondary branches were taken to Hejaz and Indonesia. The word Shattar, which means "lightning-quick","speed","rapidity", or "fast-goer" indicates a system of spiritual practices that lead quickly to a state of "completion", however the name derives from its founder, Sheikh Sirajuddin Abdullah Shattar (d. 1406 CE). Unlike other Sufis the Shattariyya do not subscribe to the concept of fana (annihilation of the ego). "With the sect of Shattaris, the Salik (seeker, aspirant) descends, of himself, in his own knowledge - there is no annihilation of self with them". Idries Shah, writing in The Sufis, states that the Shattari technique or "the Rapidness" originated with the Naqshbandi Sufi Order. Many of the later Shattaris, especially those of Medina, were initiated into the Naqshbandiyya, and among the Mazhariyya branch of the Naqshbandiyya the shaikhs were also authorised to initiate into the Shattariya and other turuq. True to its name shattari mode is the quickest. On entering shattari path the master (Pir) lifts the disciple (Mureed) from the base Maaqam (station) of Shariyat and promotes him to Tariqat in one go. Then depending upon capacity of each disciple, he is carefully guided and made to progress through advanced stages of Haqiqat and Maarifat. Shattaris claim to hold the key to secret meaning and mysteries of `Koran’ and possess the veiled knowledge of `Hurf-e-Muqattiyat’ (The secret alphabets). It is prohibited to disclose this knowledge publicly as this is `Baar-e-Amaanat’ (a trusted confidential deposit) of Sher-e-Khuda Maula Mushkil kusha Ali Karam Allah wajho and Hazrat Mohammed Rasool Allah. Any breach of trust and misuse of this knowledge is a greatest of all sins. ( Gunaah-e-Kabira). The Noble spiritual lineage (Silsila) of this order is an un-interrupted chain of divine energies flowing through selected enlightened soul. Like that of the Naqshbandiyya, the Shattari succession or chain of transmission (silsila) is said to pass from the Prophet Muhammad through Bayazid Bastami (753-845 CE). The Shattari order is thus a branch of the Tayfuri Khanwada. It was reputedly founded by Sheikh Sirajuddin Abdullah Shattar (d. 1406 CE), great grandson (fifth generation) of Hazrat Sheikh Shihabuddin Suhrawardi. (Founder of Suharwardiya Khaanwad). He was seventh lineage disciple to Hazrat Bayazid Bustami and was honored with Khilafat (Spiritual Deputyhood) from all of the 14 Sufi Tayfuriya orders (Khanwaads or Gharaanaas). Shattar was deputized and given the honorific "Shattar" by his teacher Sheikh Muhammad Taifur in recognition of the austerities he faced in achieving this station (maqam). Originating in Persia, the order and its teachings were later brought to India by Sheikh Abdullah Shattar. According to Idries Shah, Shattar made India his home in the fifteenth century . He used to judge disciples even with their eating habits and would extend his teachings only to those who did proper justice to the food. Dressed in royal robes he used to travel on streets beating drums and openly invite people to witness God in his presence, wandering from one monastery to another, and made known the method. His procedure was to approach the chief of a Sufi group and say, 'Teach me your method, share it with me. If you will not, I invite you to share mine.'" Khilafat was further Passed on to Hazrat Abul Fatah Hidayatullah Sarmast (d 1538) (12th Shawwal 944 hijri) His shrine is located in a small village near Vaishali, Hajipur, around 20 kilometers from Patna, Bihar. India. This Village is situated on the banks of Ganga River. He was third son of Hazrat Allauddin Kaazan Shattari. Famous Mughal Emperor Humayun was a dedicated follower of Hazrat Abul Fatah Hidayatullah Sarmast and took his advice on worldly, political and spiritual issues. A future successor was Wajihuddin Alvi (d. 1018 AH / 1609 CE), also known with the title 'Haider Ali Saani’. He was born in Champaner, an ancient city of Eastern Gujarat. He latter moved to Ahmedabad where he received and latter imparted knowledge in Islamic studies. He became a prominent scholar of his times and became a Mufti. Royals of that time came to him for opinion on complex religious issues. Fatwa of Hazrat Mohammed Ghaus Gwaliori was also referred to him by Mughal ruler of that time, Sultan Mehmud. He lived a simple life and always kept humble profile. He used to share whatever came to him with the poor and the needy. He was buried at Wajihuddin's Tomb, built by one of his follower, Syed Murtuza Khan Bukhari, in Khanpur, Ahmedabad. He was a great saint who wrote many books and founded an educational institution (madrasa). One of the order's distinguished masters was the 16th century Sufi, Shah Muhammad Ghawth (d. 1562/3 C.E. )(14th Ramadan 970 hijri). Hereditarily, he belonged to the noble family and was direct descendant of Hzarat Imam Ali through the poet Attar. He was a son of Sayyid Hazir al-din (misspelled Khatir al-Din) Bayazid son of Classical Sufi poet Fariduddin Attar son of Sima Wasil son of Ahmad al-Sadiq son Najibuddin Taqiyuddin son of Nur Allah Abu Bakr al-Ajli son of Ismail son of Ja'far al-Sadiq son of Muhammad al-Baqir son of Zayn al-Abidin son of Husayn son of Ali ibn Abi Talib. Greatness and fame of the Shattari order reached new height during the era of Shah Sultan Haji Hameed Mohammed Ghouse/Gwauth Gwaliori Shattari . Shah Ghawth developed the Shattariyya more fully into a "distinctive order"; and also taught the Mughal Emperor Humayun, He wrote the book Jawahir-i khams, (The Five Jewels). The influence of the Shattari Order grew strong during Ghawth's leadership and spread through South Asia. Royals like Babur, Humayun, and Akbar held him in very high esteem. He was a pioneer in adapting ancient Indian yogic practices and meditative techniques in folds of Sufism and was instrumental in promoting secular values in lives of royals and commoners around him. He authored many books such as Jawahar-e-Khamsa, Bahrul Hayat, Aurad-e-Ghosia, Risala-e-Mehraajiya, Jamaya, Kabid Makhajan, Kanjul Vahida, etc. His other scholarly works includes a hand written `Koran’ (translated in Persian language) which is over 400 years old and has been passed down through generations (Currently the same is in the custody of Khalifaa va Sajjada Hazrat Sufi Saeed Ali Shah, Mumbai). He earned extraordinary spiritual revelations and meditative powers spending 13 years in solitude of forest (jungle of chinaar) and devoted all his life in quest of the ultimate truth, in deep meditation and continues remembrance of GOD. His famous claim of experiencing the mystical journey `mehraaj’ thrice brought him trouble from extremist Islamic fronts to which he remained immune. Angered with this, Prominent and learned mufti of that time Hazrat Shah Wajihuudin Gujrati (Ahmedabad) came to issue fatwah against this claim but after witnessing his spiritual station (maqaam), surrendered and become a worthy disciple of Mohammed Ghouse Gwaliori. Ghawth, an unparallaled mystic philosopher and a supremely accomplished music maestro, became the tutor of the Mughal emperor Akbar's favorite and legendary musician, Tansen as well. Although Tansen was a Hindu by birth, Shah Ghawth adopted him as an orphan and tutored him in both Sufism and music, appointing him as one of the Khalifa (spiritual deputy) of Hazrat Mohammed Ghouse. Tansen was buried in Ghawth's tomb complex. Ghouse's magnificent tomb in Gwalior is a well-known tourist attraction, regarded as an excellent example of Mughal Architecture, dating from c.1565,is the most famous Sufi monument in Gwalior, renowned for its beautiful perforated stone screen (jalis), which forms around the verandah surrounding the tomb’s central chamber. Each Jali is designed in unique beautiful pattern. The tomb is square stone building with a large central dome, which was originally covered with blue tiles, and hexagonal corner towers crowned by chhatris(Pavilions). Due to some unforeseen reasons, the Maqbara was closed from 1947 to 1965. Hazrat Sayyed Sufi Mohammed Shah Husaini Qadri Shattari Hashmi (Father of present Sajjadanashin - Hazrat Sufi Saeed Ali Shah H.Q.S.H) got spiritual orders from Hazrat Mohammed Ghouse to reopen the Maqbara. In 1965, he along with some of his beloved Khalifa Hazrat Sufi Hidayatullah Shah H.Q.S.H. and some followers travelled to Gwalior and with the help of Shah Saheb ( Khadim ) reopened, cleaned the Maqbara and started the tradition of annual Urs (14th Ramazan). On this occasion, a White Cotton cloth (called Lattha in local languages) on which Sandalwood paste is applied by all the followers, also known as "Gillaf" is offered. This tradition has been going on for last many years by then Hazrat Sufi Hidayatullah Shah H.Q.S.H and now his Khalifa Hazrat Sufi Saeed Ali Shah. In 1972, a damaged marble grill of Taveez was renovated by Hazrat Sufi Hidaytullah Shah H.Q.S.H along with his Khalifa's(Sufi Saeed Ali Shah & Sufi Shafi Ali Shah). The stones & the skilled labours were called in from Agra & Jaipur. This work went on for 6 months with the approval from ASI officer Mr. Dixit. This primary Shattari Lineage is presently headed and guided by Khalifa va Sajjada Hazrat Sufi Mohammed Saeed Ali Shah who also happens to be the 17th Khalifa in line (if counted from Hazrat Mohammed Ghouse). He is also known with the title`Sufi Saheb’ by many of his followers. Born on 5 May 1942 in Bombay, he is the worthy son of Hazrat Mohammed Shah Husaini Kadri Shattari. (A renowned Shattari Saint – discussed in above passages). He graduated in science (B. Sc) from Jai Hind collage in 1965 with distinction. He has been extremely hard working since childhood. His hardwork and honesty rewarded him with extremely successful career. He got married in 1969. He became murid of Hazrat Sufi Hidayatullah Shah Husiani in 1969 at Gwalior inside the dargah of Hazrat Mohammed Ghouse Gwaliori. He was blessed with Khilafat in 1975 and was crowned as Sajjada nashin in 1981. He resigned from the job and devoted all his energies towards the welfare of Shattari Silsila. He has always been a torch bearer of Shattari lineage ever since the responsibility of Khilafat and Sajjadagi was bestowed upon him by Hazrat Sufi Hidayatullah Kadri Shattari who loved him more than his own children. For more than 40 years he has given selfless service and has completely offered his being to the cause of Shattari Silsila. His contribution to this Silsila has been all round including financial, spiritual, ethical and social support. Sufi Gafoor Shah Dargah trust was formed by him in 1988 and introduced Sufi Shattari Jamaat in 2003. His love for his murshid is beyond imagination of common man and his eyes still gets moist when someone mentions his murshids name. He remains a power house of spiritual wisdom and his understanding of Sufi Mysticism makes him one of the greatest saints of present times. Yet the child like innocence in his eyes sweeps you of your feet. In the late sixteenth/early seventeenth century C.E.the secondary branch of Shattariyya was introduced to Medina by Sibghatallah ibn Ryuhallah al-Sindi al-Barwaji (d.1606 C.E. ), a Naqshbandi shaykh. His disciple Abu'l-Mawahib al-Shinnawi (d. 1619) continued the order there. The Shattaris went on to play an important role in Medina through the seventeenth century C.E. under Ahmad al-Qushashi, al Shinnawi's successor, and then Ibrahim Kurani (d. 1689 C.E.) who was also initiated into other orders including the Naqshbandiyya, Qadiriyya and Chishtiyya. Kurani's disciple Abd al Ra'uf Singkel was authorised by him to introduce the Shattariyya to Indonesia. The Shattariyya became popular in Aceh and Jawa, particularly in Pamijahan and Cirebon (where it became closely associated with the court). Ibrahim Kurani's son, Muhammad Abu'l Tahir Kurani (d.1733 C.E.) inherited his father's position as head of the Medina Shattariyya as well as the role of teacher in the Prophet's mosque and Shafi'i mufti in the city. 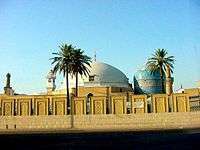 Among his students was the great Indian Naqshbandi reformer Shah Waliullah Dihlawi (d.1763 C.E.). Abu'l Tahir initiated Shah Waliullah into the Naqshbandiyya in Medina. He also initiated him into the Shadhiliyya, Shattariyya, Suhrawardiyya and Kubrawiyya. (iii) Self-effacement is a wrong idea: one must say nothing except "I am I." Unity is to understand One, see One, say One and to hear One. A Sufi of this order must say "I am one" and "There is no partner with me." (iv) There is no need to oppose to the ego (nafs) or of mujaheda (struggle, participation in jihad with oneself). (v) There is no such state as annihilation (fana) since this would require two personalities, one wishing for annihilation and the other in whom annihilation takes place, which is dualism and not unity. (vi) One should not abstain from eating certain foods but instead should consider one's ego, its attributes and actions as identical with those of the Universal Ego. The animal soul is not an obstacle for reaching God. The Shattariyya held to the principle of wahdat al-wujud (Unity of Existence) expounded by Ibn Arabi. Abu'l Mawahib al Shinnawi was an outspoken adherent of this doctrine. And Shinnawi's successor, Ahmad al-Qushashi was described by the contemporary Damascene scholar Muhammad Amin al Muhibbi as "The Imam of those who expound the unity of existence". `Irfan’ or secret wisdom of Shattari order is transmitted `Sina ba Sina’ heart to heart from the `pir’ (master) to deserving `Mureeds’ (disciples). Genuine Shattaris are the custodians of this esoteric and mystical treasure including `Zaat e Mohammedi’ `Hurf e Muqateat’ `Kalima’ and genuine hidden understanding to Quran. Due to matured and controversial nature of the matter it is disclosed to selective few people of understanding who have the appetite and the capacity to digest this advanced philosophy of truth. This Knowledge is forbidden to the masses and novice by Hazrat Ali Maula Mushkil Kusha. Some aspects of Shattari teaching sought to utilize parts of Nath Yoga and other forms of yogic mystical practice to give rise to highly sophiscated, distinct and intense 'mystical' Sufi method of India (a trait shared by Naqshbandi, Sarwar Qadiri, Suhrawardi, Shadhlli and Chisti orders and many other which were based in Indian ) as comparaed to usual and less intense 'jurist' Sufi methods or orders of Iraq, Arabia, Turkey and northern Africa. Sheikh Baha' al-Din Shattari (d. 1515 C.E.) incorporated Indian spiritual practices into his Risala-i Shattariyya (The Shattari Treatise). Later The Pool of Nectar (traced by Carl Ernst to the Hindu Amrtakunda), was translated into Persian by Muhammad Ghawth. This translation was a systematic account of yogic mantras and visualization practices, assimilated and incorporated into the conceptual structure of Sufi tradition, and included an account of the chakras together with the practices required to activate them, with Sufi wazifas substituted for the traditional yogic mantras. 1 2 3 Shah, Idries (1999). The Sufis. Octagon Press. ISBN 0-86304-074-8. See Appendix II: The Rapidness. First published in 1964. 1 2 Sharma, Suresh K. and Sharma, Usha. Cultural and Religious Heritage of India: Islam (Volume 5). New Delhi: Mittal Publications. p. 1349. ISBN 81-7099-955-3. Eight-volume set. 1 2 3 Subhan, John A. (2007). Sufism - Its Saints and Shrines. Lovenstein Press. pp. 306–309. ISBN 1-4067-7267-4. ↑ Ali-Shah, The Sirdar Ikbal (1933). Islamic Sufism. Tractus. p. 221. ISBN 978-2-909347-07-3. Quoting Khaja Khan's book on Tasawwuf. ↑ Medieval India Quarterly. Aligarh Muslim University, Dept. of History. 1950. Retrieved 2009-08-04. v. 1-5 - 1950, p56. 1 2 Yasin, Mohammad (1988). Reading in Indian History. Atlantic Publishers & Distributors (New Delhi). p. 42. No ISBN. ASIN: B0006ERVCA. 1 2 Trimingham, John Spencer and Voll, John O. (1998). The Sufi orders in Islam. Oxford University Press USA. pp. 97–98. ISBN 0-19-512058-2. 1 2 Wade, Bonnie C. (1998). Imaging Sound: An Ethnomusicological Study of Music, Art, and Culture in Mughal India (Chicago Studies in Ethnomusicology). University Of Chicago Press. pp. 113–115. ISBN 0-226-86840-0. See google book search. ↑ Hastings, James (author) and Selbie, John A. (editor) (2003). Encyclopedia of Religion and Ethics, Part 21. Kessinger Publishing, LLC. p. 69. ISBN 0-7661-3700-7. See google book search. ↑ Kugle, Scott Alan (2007). Sufis and Saints' Bodies: Mysticism, Corporeality, and Sacred Power in Islam (Islamic Civilization and Muslim Networks). University of North Carolina Press. pp. 130–131. ISBN 0-8078-5789-0. See Google book search. ↑ Choadhury, Pandit Birendra Kishore Roy (c. 1958). Indian Music and Mian Tansen. privately published. ↑ Suha Taji-Farouki; A Prayer for Spiritual Elevation and Protection By Muhyiddin Ibn 'Arabi. ↑ Taji-Farouki, Suha (2006). A Prayer for Spiritual Elevation and Protection. Anqa Publishing. pp. 30–34. ISBN 0-9534513-0-5. ↑ Christomy, Tommy (2008). Signs of the wali: narratives at the sacred sites in Pamijahan, West Java. ANU E Press. ISBN 978-1-921313-69-1. ↑ Taji-Farouki, Suha (2006). A Prayer for Spiritual Elevation and Protection. Anqa Publishing. p. 37. ISBN 0-9534513-0-5. ↑ Buehler, Arthur F. (1997). "THE DEVELOPMENT OF THE NAQSHBANDIYYA-MUJADDIDIYYA IN INDIA: How THE PANJAB BECAME THE CENTRE OF NINETEENTH-CENTURY INTERNATIONAL NAQSHBANDI ACTIVITY". Journal of the Iqbal Academy Pakistan (Volume: 38– Number: 1). ↑ Shushtery, Professor A. M. A. (1980). Nathaniel P. Archer, ed. The Sufi Mystery. Octagon Press. p. 72. ISBN 0-900860-79-0. ↑ Taji-Farouki, Suha (2006). A Prayer for Spiritual Elevation and Protection. Anqa Publishing. p. 31. ISBN 0-9534513-0-5. ↑ El-Rouayheb, Khaled (2007). "Opening the gate of verification: intellectual trends in the 17th century Arab-Islamic world". International Institute for Asian Studies Newsletter (#43): 11. ↑ Ernst, Carl W. (2005). "Situating Sufism and Yoga". Journal of the Royal Asiatic Society (Series 3, 15:1): 15–43. Trimingham, John Spencer and Voll, John O. (1998). The Sufi orders in Islam. Oxford University Press USA. pp. 97–98. ISBN 0-19-512058-2.